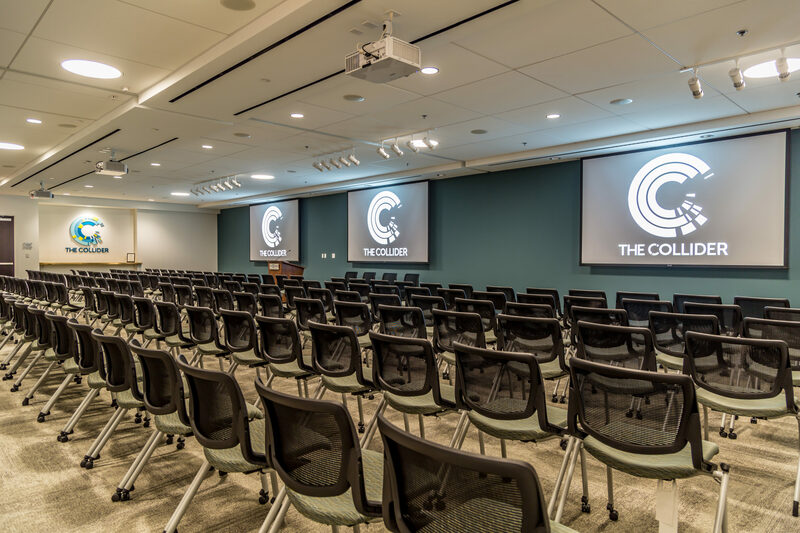 Technology theater: Capacity for up to 190 in lecture style with a variety of other setups and configurations available, including powered tables for classroom-style seating. With partitioning, the 2,500 square foot room can be subdivided into Theater A and B. Available by the hour (2 hour minimum). 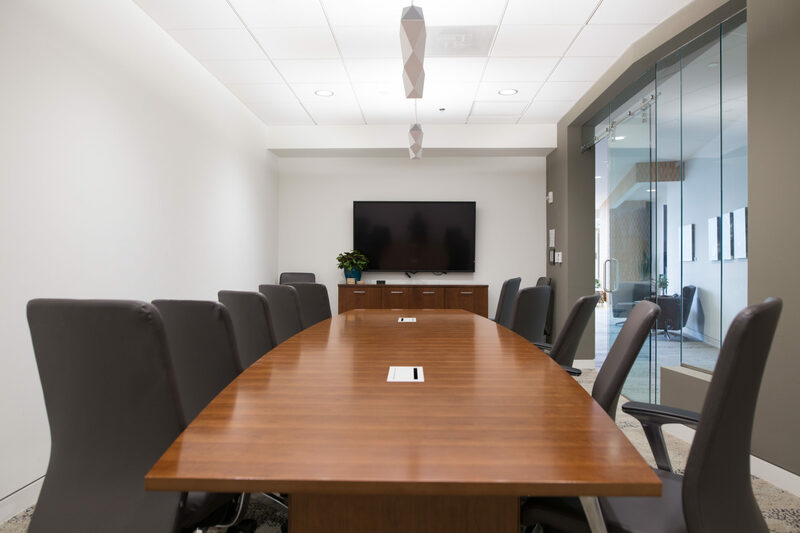 Large conference room: Capacity of 14 (with additional perimeter seating), setup boardroom style with teleconference and presentation capabilities. Available by the hour. 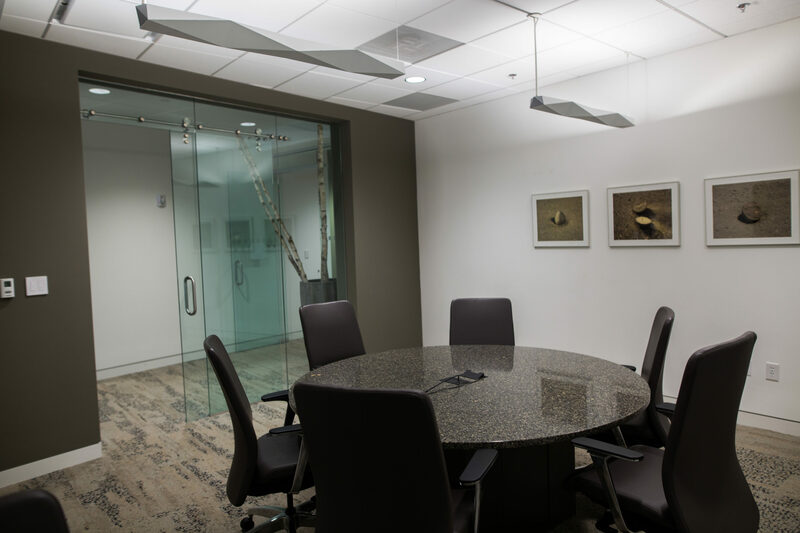 Think Tank: Small conference room with roundtable capacity of 8 (with additional perimeter seating), with teleconference and presentation capabilities. Available by the hour. 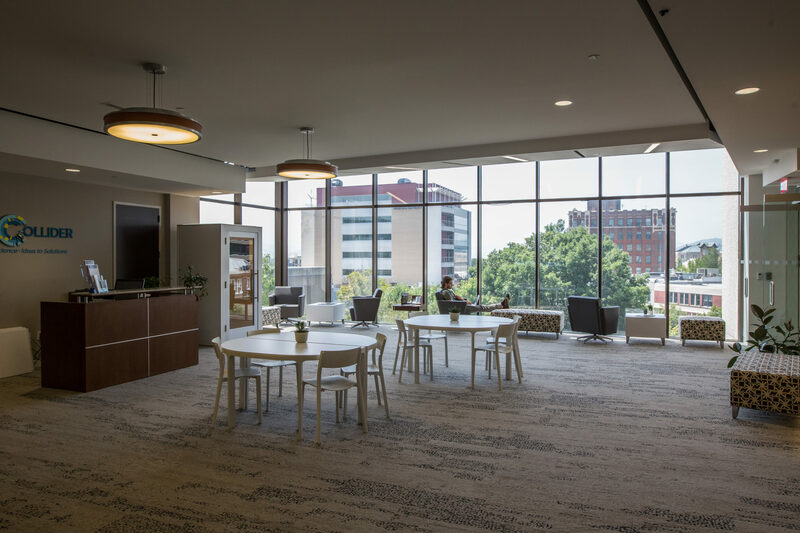 Overlook Lounge: Reception space offering beautiful floor-to-ceiling views of vibrant downtown Asheville and the nearby Blue Ridge Mountains, with space for meals, receptions, and other events. Available by the hour (2 hour minimum). Click each option below to download the various layouts available for The Collider’s venues. 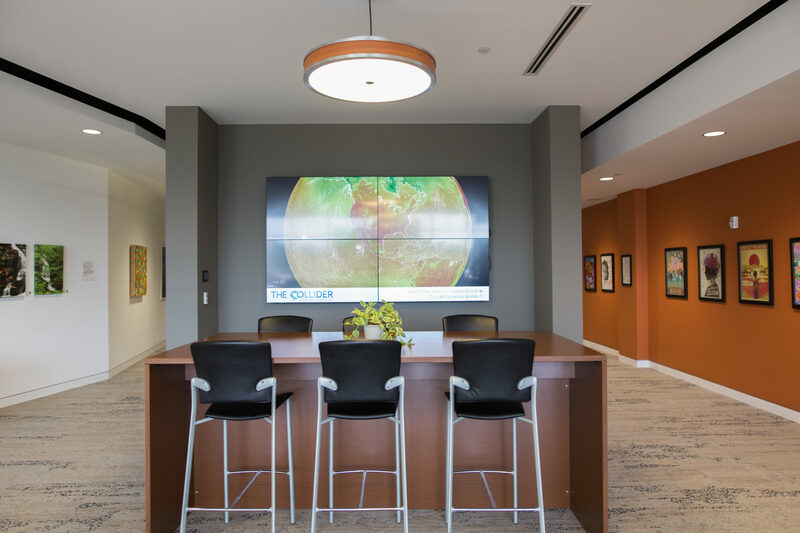 The Collider’s regular business hours are Monday through Friday, 9am to 5pm, excluding federal holidays. Parking is conveniently available in nearby parking garages: Rankin Avenue Garage, Wall Street Garage, Civic Center Garage, or Biltmore Avenue Garage. Please do not park in the deck on the lower level of the Wells Fargo building – it is reserved strictly for bank customers.